Imagine being able to blog from anywhere. How about posting great and delicious articles to your audience while you sit with your legs apart as you wait for that drink to arrive? 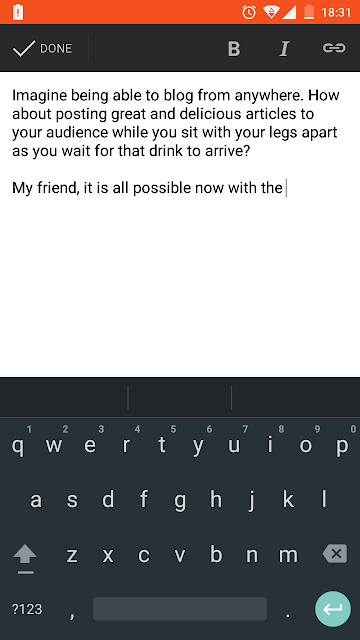 My friend, it is all possible now with the blogger app for Android. Check it out even though it has a low rating of just 3.8. You are going to love the simplicity of making money and just being in touch with your customers.